This tour was the highlight of my visit to Lyon. 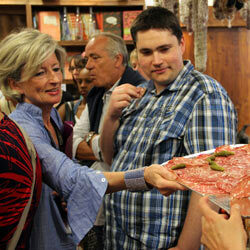 The guide has an impressive knowledge of gastronomy and Lyon's history keeping the visitors interest. 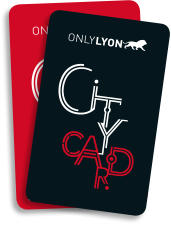 The city of Lyon draws its renowned excellence from the surrounding region and the expertise of its chefs. And this is no doubt why Curnonsky, the famous culinary critic, called it the "capital of world gastronomy" in 1935! From the silk workers’ mâchons to the contents of the cooking pots of the Mères Lyonnais (the “Mothers of Lyon”), Lyon has earned itself a reputation of a town in which the “art of cooking” has become a veritable religion. 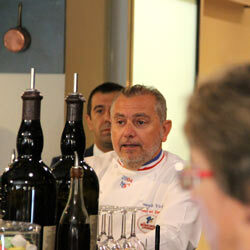 Paul Bocuse has inspired this heritage by adding his own expertise as a top chef of international influence. 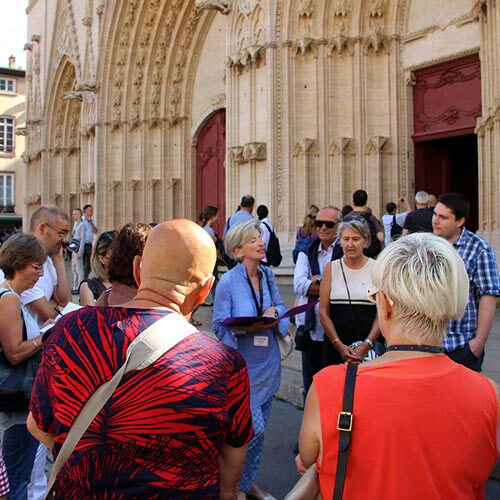 In the heart of the Presqu’île district and Old Lyon, this visit includes culinary anecdotes, food tasting and a historical presentation of the UNESCO site, and will enable you to discover Lyon's heritage as well as its gastronomy. 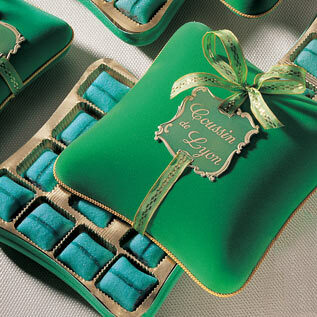 Why are they called "bouchons"? The term "bouchon" dates back to a time when inns that served wine outside meals advertised that fact by hanging a twist of straw on their outdoor sign. This meant that coach drivers were invited to enjoy some wine while their horses were being rubbed down!